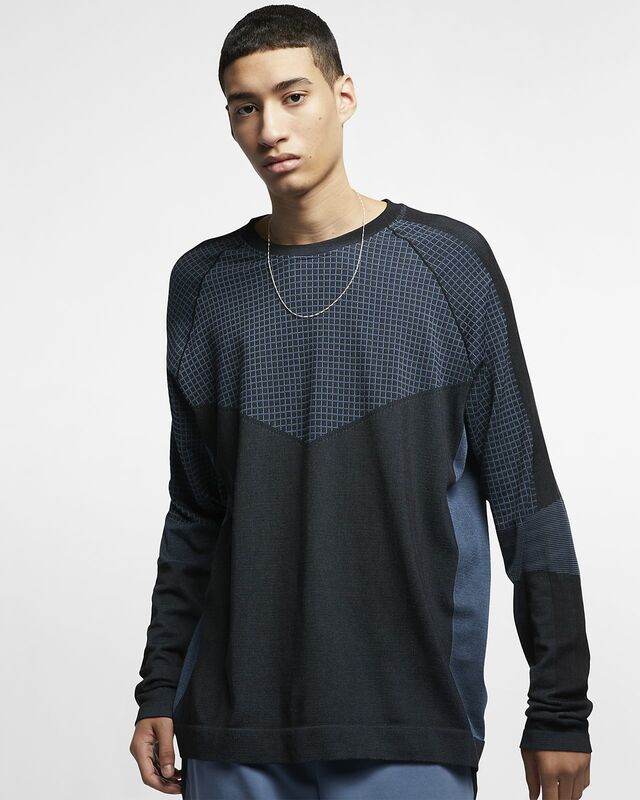 The Nike Sportswear Tech Pack Top makes the perfect base layer. Its soft, stretchy material features a gridlike pattern inspired by running and training gear. Grid pattern energizes the look. Numeric code at the back hem translates to "Nike."